Below is information intended to provide guidance to private and non-profit affordable housing developers (“Developers”) regarding the procedure Innovative Housing Concepts (“IHC”) will use to evaluate unsolicited special limited partnership development participation proposals from Developers. 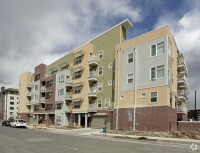 In 2001, the Colorado legislature revised Section 29-4-226 of the Colorado Revised Statutes, which provides, in relevant part, that the portion of a project that is occupied by persons of low income and is owned by or leased to an entity: (I) that is wholly owned by an authority; (II) in which an authority has an ownership interest; or (III) in which an entity wholly owned by an authority has an ownership interest, is exempt from special assessments. IHC's Board of Commissioners (“Board”) has adopted the policy included below for evaluation of Requests for Special Limited Partnerships. IHC will consider unsolicited proposals for the development of affordable and/or low-income housing. The application process is not a competitive process and each project will be evaluated on its’ individual merits. However, IHC reserves the right to accept or reject any proposals and to revise, change, modify or eliminate this policy at any time, in its sole and absolute discretion.